The idea of Africa-India, within an area studies paradigm compels us to think with two spaces that are the constructs and residues of an European modernity. How can we think about spaces as constituted through the circulation of material, ideas, and people, rather than as always already given concrete geographies? Yet again, how do we think with the tropes of time that determine our thought: running out of time; time out of synch; outside of Time; "futures past" and so on. 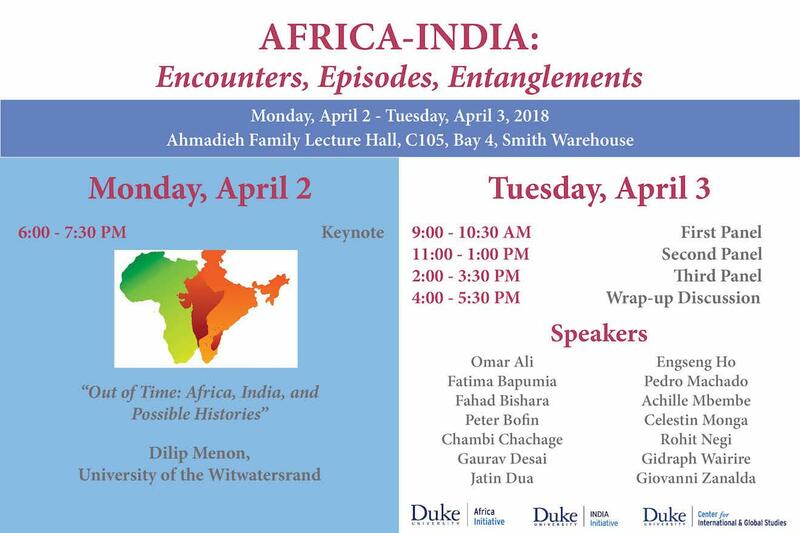 This is the keynote talk for the Africa-India: Episodes, Encounters, Entanglements Conference.